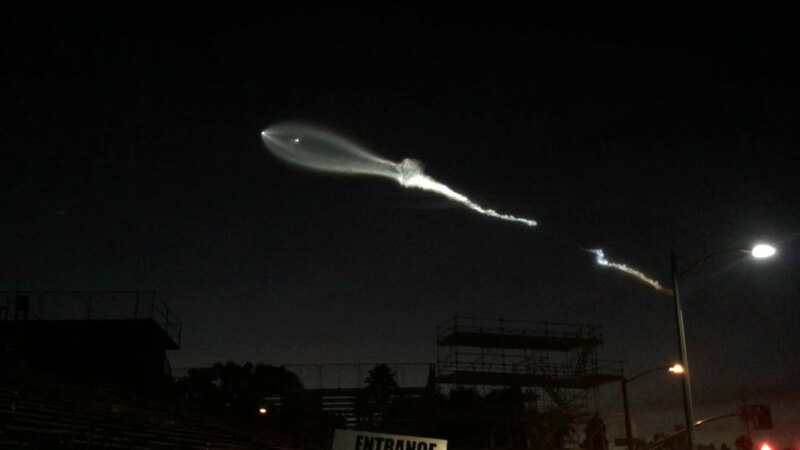 LOS ANGELES (KABC) -- Elon Musk, the creator and founder of SpaceX, poked fun at the chaos his rocket launch caused for Californians on social media Friday night. Many people thought it could be aliens or an attack from North Korea, so Elon played on those assumptions in his tweet. Before the Falcon 9 rocket was launched from Vandenberg Air Force Base in Lompoc, Musk had retweeted the SpaceX account with a link to its livestream. But his early warning didn't stop people from wondering what the bright, oval shaped object that flew through the sky was around 5:30 p.m.
SpaceX said this is the fourth flight for long-time customer Iridium. Both companies are under contract to launch a total of 75 satellites to provide communications services for regions around the world.